You may know them, or maybe you have made pictures of them; the RailAdventure transport trains. They are popular amongst many railway fans, because when you see a classic, two-tone grey painted locomotive coming, you know you will see either something very special, or something very new. This week we saw a Alstom H3 in Audi trim on track. 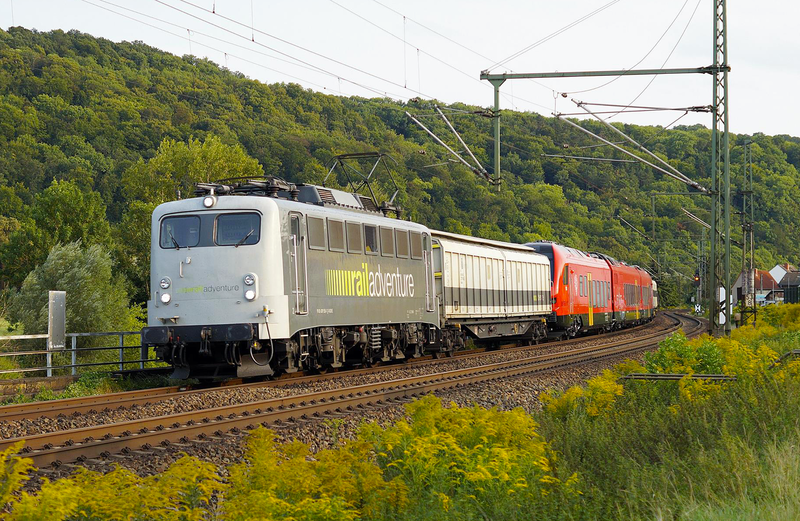 We saw RailAdventure coaches in the Czech Republic to facilitate the transport of a damaged Talent train. Also interesting; the first of ninety brand new CAF Mk5 series coaches for the Caledonian Sleeper were taken to the VUZ Velim test center, coupled in between RailAdventure cars. Last but not least: the Wiebe V320 001 (Henschel DH4000) was taken to Kassel for storage. To pull its trains though Germany, RailAdventure has two ‘classic’ locomotives; 139 559 and 103 222. In busy times, often locomotives of other operators are being hired. Abroad, RailAdventure logically makes use of other tractive power. In our photogroup on facebook we received several nice images taken of such trains this week. Time for a small overview, with thank to Sebastian Winter, Tobias Schubbert, Christian Klotz and Raimund Wyhnal. 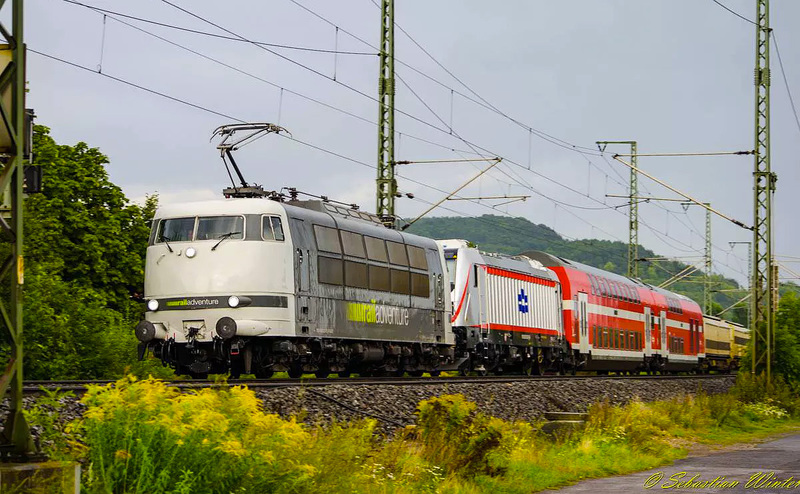 That same day, 139 558 had a different assignment; take the first hybrid FLIRT t rain to the border of Germany and the Czech Republic. 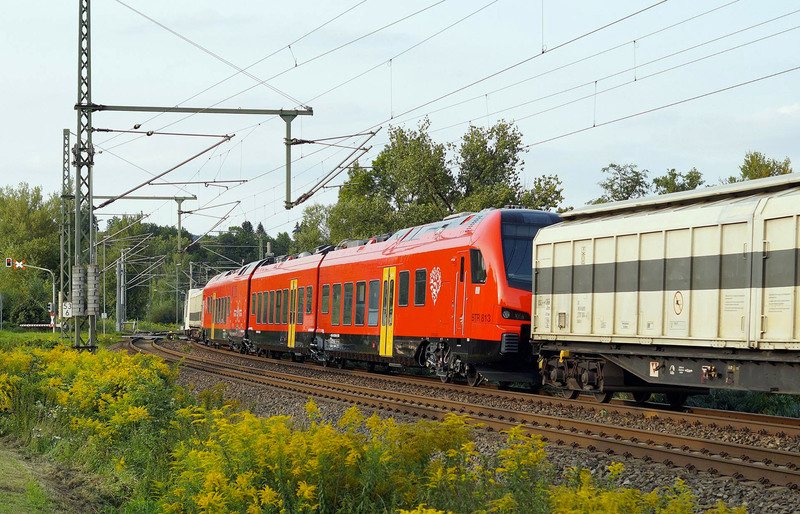 This red ‘BMU’ (bimodal multiple unit) will be taken to VUZ Velim for its test program. 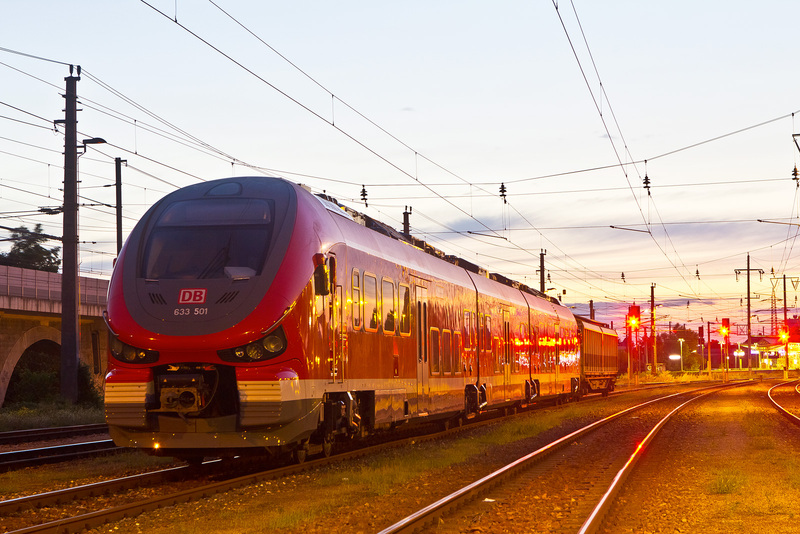 Stadler Rail has sold 5 such trains to the Valle d’Aosta region. 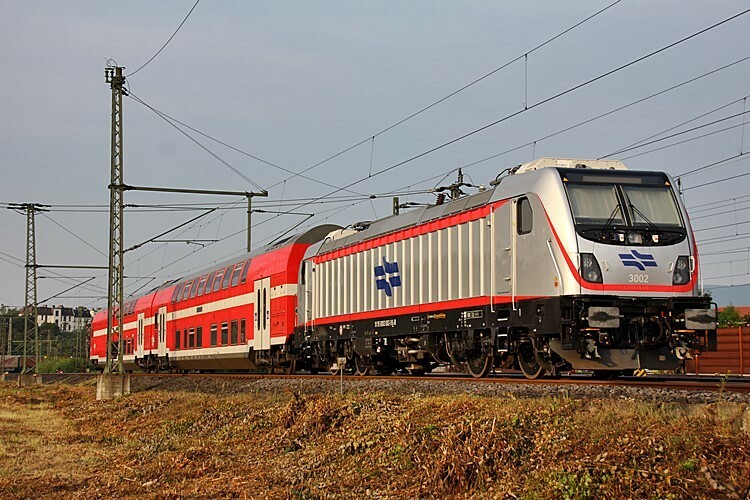 Similar trains will be developed for Arriva for services in the north of the Netherlands. Both images: RailAdventure 139 558 with a hybrid FLIRT train built for Valle d’Aosta on 22.08.2017 in Bad Kösen. Yes there it is again. 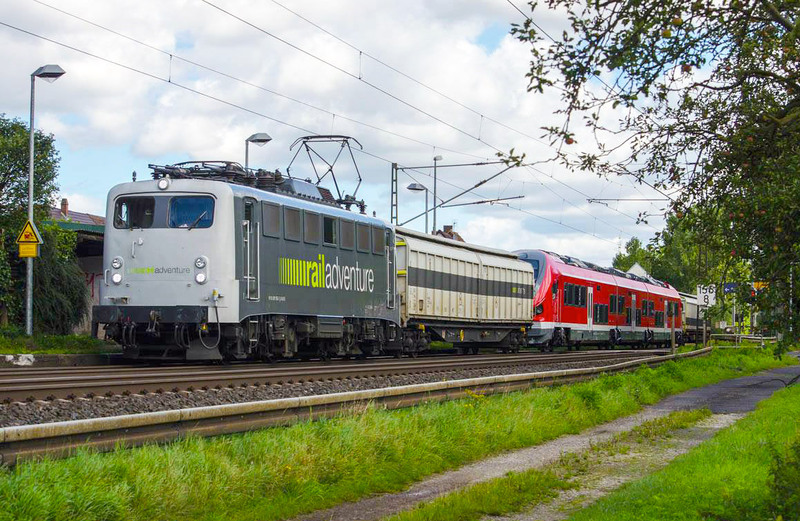 On 19.08.2017, a 3-car Pesa Link train for DB Regio arrived in Germany again. It was transported to Vienna, to do another run of tests at the climate chamber. 139 558 was seen with the designated 633 501/633 001 at Ludwigsau–Friedlos on 19.08.2017. On 21.08.2017 it could be seen parked at Wien-Floridsdorf freight station.